Check out this week’s menu and get your first THREE meals FREE WITH FREE SHIPPING by going to BLUEAPRON.COM/TWIST. Mighty Networks. Go to mightynetworks.com/twist and click on “Create a Network” to start your Mighty Networks Business plan with a free 14-day trial. Artificial intelligence, machine learning, and bots are starting to get a lot of buzz, and people are saying that advances in AI is moving faster than anticipated. 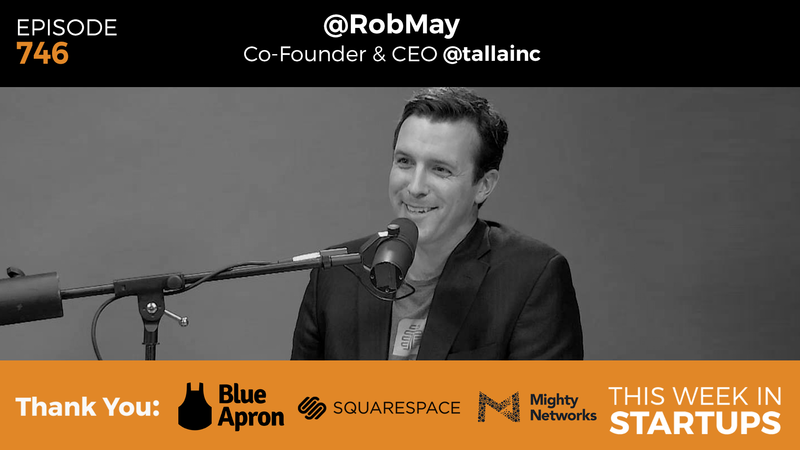 Our guest today, Rob May, is formerly the CEO and co-founder of Backupify, and is now the CEO and co-founder of Talla, which builds intelligent assistants to help knowledge workers better do their jobs. Talla has developed a text-based messaging assistant that uses machine learning and natural language processing to automate human resources & IT tasks. Join us as Rob explains why bots are a better interface, what sets Talla apart from the AI space, and shares his predictions on AI’s impact on jobs.